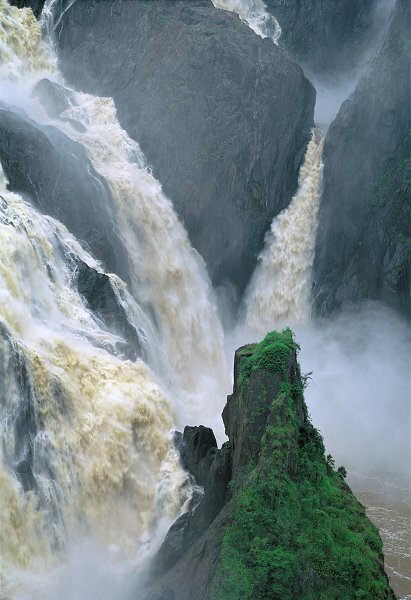 Everyone knows the familiar views of Barron Falls. This view of the lower section was made after I discovered the overgrown and treacherous old track leading to the base. An awesome view was presented with the falls in flood.